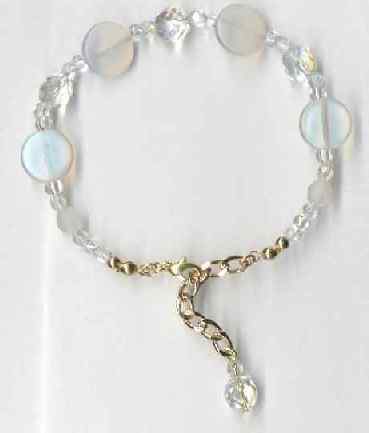 Beaded bracelets, anklets and more! This site is size friendly. 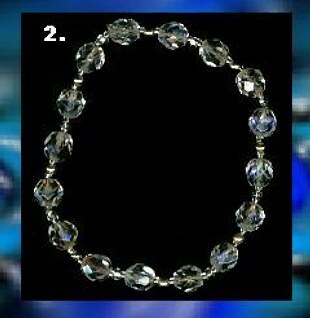 Whether you are petite or plus you can create a anklet or bracelet length you require. 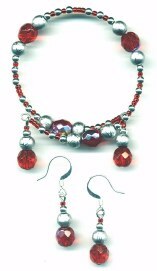 Red, Blue, Purple, Green, & Pink Glass with your choice of silver or gold accents. 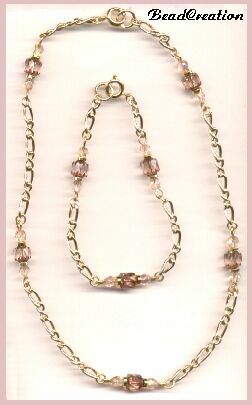 Prettiest little pink beads with a golden glow on beautiful quality costume gold chain. This duo is the perfect touch to give your look a real feminine appeal. 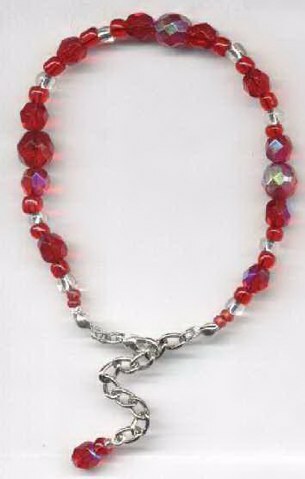 Red glass beads with iridescent shine in combo with touches of silver make this bracelet stylish and sharp. Chain closure allows for perfect fit. 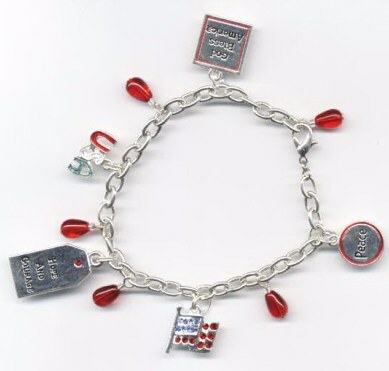 This bracelet may also adjust to become an anklet. 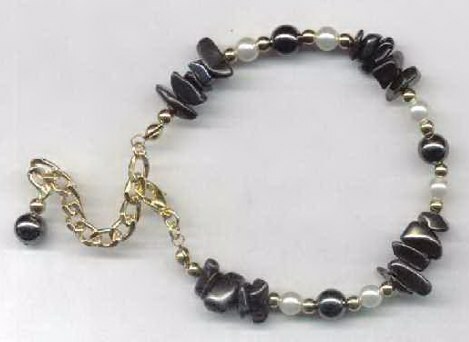 Pretty silver hematite stone chips with gold accents and foe pearls. This design would match so many things. Silver or gold, black or white your in fashion. This bracelet is really fun. Not to showy yet full of shine. 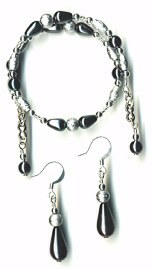 Black beads have subtle iridescent gloss and silver beads have reflective center that lights up against the other beads. Perfect fashion accessory for so many looks. We've got two full pages of bracelet styles for you. Check it out!